I shared earlier this week that Corey and I are planning on tackling our backyard this summer – we’ve been itching for another major project ever since we completed our bathroom back in November, and this is officially the next space on our list. And, if you saw that post, you’ll understand what I mean when I say it’s desperately in need of an overhaul. I’m really excited to get started on all of our backyard projects, but I’ve been feeling a little bit overwhelmed at the prospect of actually deciding exactly what we want to do. There’s so much amazing inspiration out there, and it is so hard to narrow it down to what you actually want! 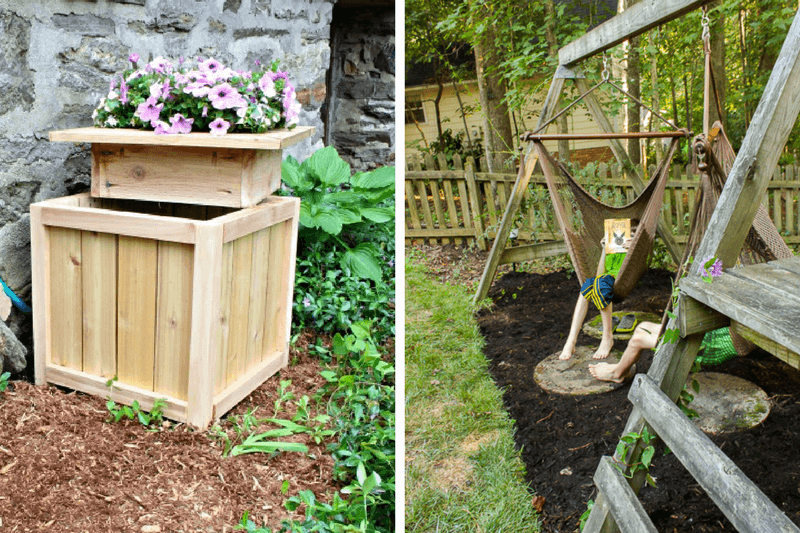 I did a roundup of DIY outdoor projects last summer, and today I’m sharing 12 more amazing projects. As if I needed more ideas. Hopefully you can help me fix it – feast your eyes on these gorgeous and inspiring projects, and let me know what you think we should tackle this summer! Feel free to pin the collage above, but if you’re pinning individual projects, please pin from the original source! I mentioned that Corey and I are planning on building our own dining table, and I’m loving both of these! I think Corey’s going to be creating his own plans for the table we’re using, but how gorgeous are these as inspiration? I know building an entire table (or a tabletop, like the one from Our House Now a Home) seems like a really overwhelming prospect, but it really isn’t as difficult as it looks. I’m going to be following along with Corey when he does ours (he’s going to start teaching me some woodworking so I can be a little more helpful in the workshop) so I promise I’ll prove that it’s no big deal. I love this faux metallic planter that Charlotte built, and I really want to have some big planters like this in our yard! I’m wanting to do some sort of an herb garden and something like this would be absolutely perfect for it! And, can you even handle that vertical vase display? What a fun way to display some pretty fresh flowers, right?! I love the idea of doing something like this up against a fence to make it a little prettier. I’d love to do something similar to this in the play area we have planned for Jackson! 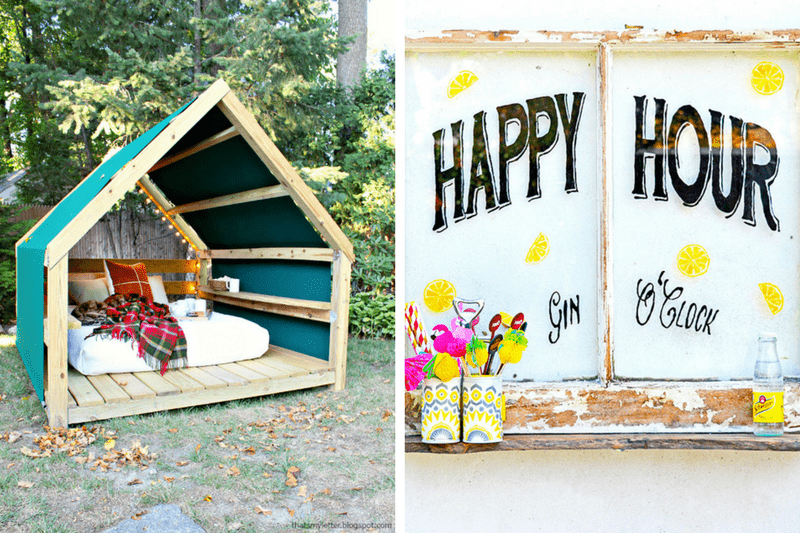 I’m swooning hard for that DIY cabana! We want to build a little playhouse for Jackson with a similar feel to this, but this project has me thinking maybe we need to go bigger and make something the whole family can hang out in! How fun would that be?! I’d never leave the backyard. I’m also loving that adorable little DIY window project. I’m looking for some easy and creative projects just like that to add a little personality to our yard, and the flea market near us always has a ton of old windows for super cheap. I may just have to pick a few up! I’m absolutely in love with these raised garden beds. 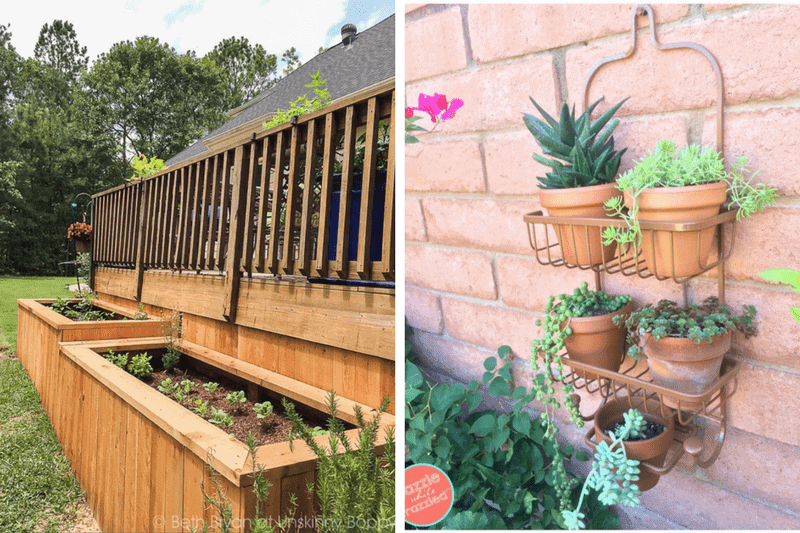 Corey and I have talked about building some similar to this for years – it’s the perfect way to keep the plants safe from our dogs (and the toddler) and they’re so incredibly gorgeous, too! If only I didn’t have a black thumb. I’m hoping to fix that soon, though – we’ll see how quick of a learner I am. Oh, and how genius is it to use an old shower caddy as a plant holder? It looks so adorable, and it’s such a creative solution. Something like this would look adorable on the side of the workshop! I shared something similar to this DIY strawberry arbor on my Facebook page recently and you guys loved it – and I do too! It’s such a pretty piece to have in the backyard, and who doesn’t love having fresh strawberries to pick anytime you want?! I love this so much, and I seriously want one in my yard. Or three. We like strawberries in my house. Also, that tree stump pathway? I am in LOVE. 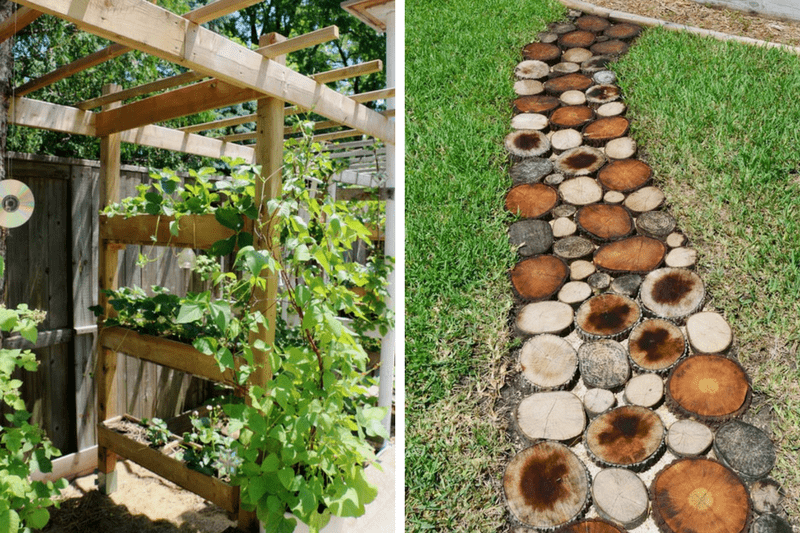 I seriously want to talk Corey into doing this somewhere in our yard – my parents have a ton of old tree limbs and stumps on their property, and this would be such a cute path to lead from the patio to Jack’s play area. I’m obsessed! These last two are some of my favorites – that planter from That’s My Letter doubles as storage for a garden hose. How awesome is that? 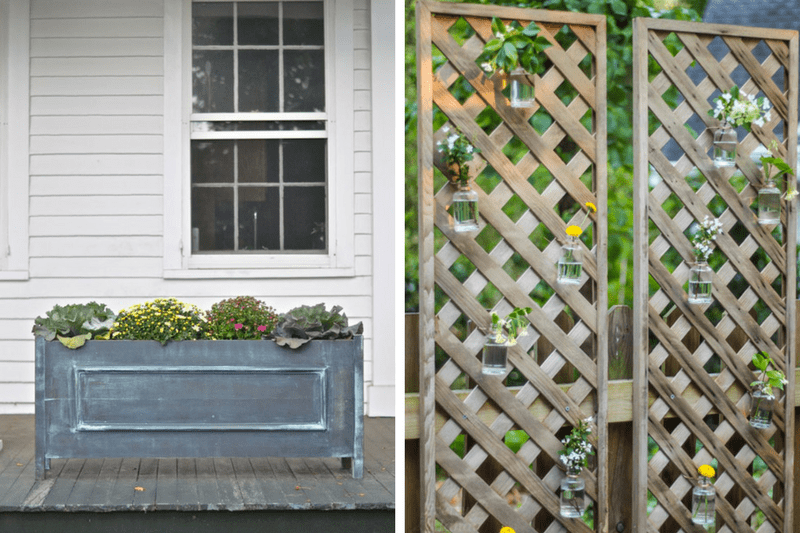 I love the idea of using something like this to conceal things that you don’t want just hanging out in the yard, and it’s so pretty to boot! Apparently, I’m going to turn into a total plant lady once we get our backyard done. And, you guys, that’s an adult swing set. Can you even handle it?! I would absolutely die to have something like this in our yard – I’d be the one begging Jackson to go outside and play! 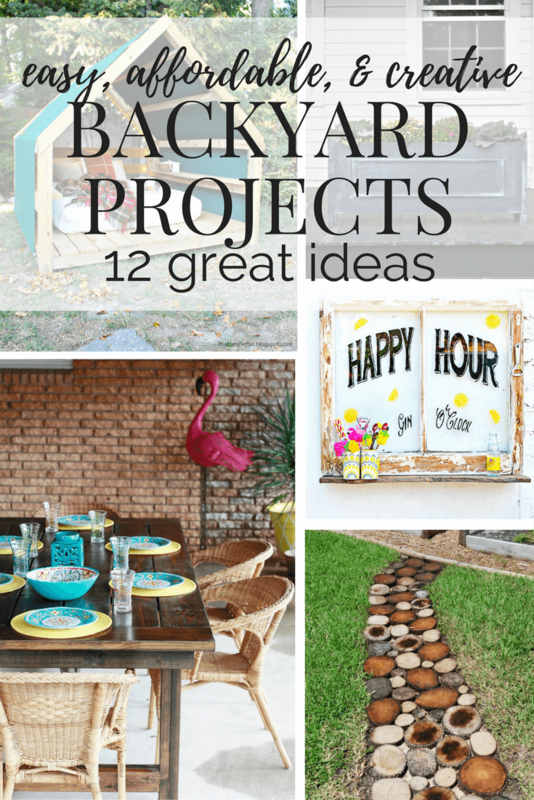 I can’t even tell you how excited I am to dive into our backyard projects. It’s going to be so nice to finally have a backyard that we actually enjoy hanging out in, and I can’t wait to see how it turns out. I’m thinking it’ll be pretty awesome. We’re still in the planning phases, so if you have any suggestions or ideas I would LOVE to hear them! We’re pretty new to doing exterior projects (the inside of our home is something I’m pretty proud of but I literally cringe at the outside as it is right now), so we need all the help we can get. Great ideas! I love the faux metallic planter box. Thanks for including my Shower Caddy Wall Planter in this round-up! Of course – I love it!! Love these ideas! 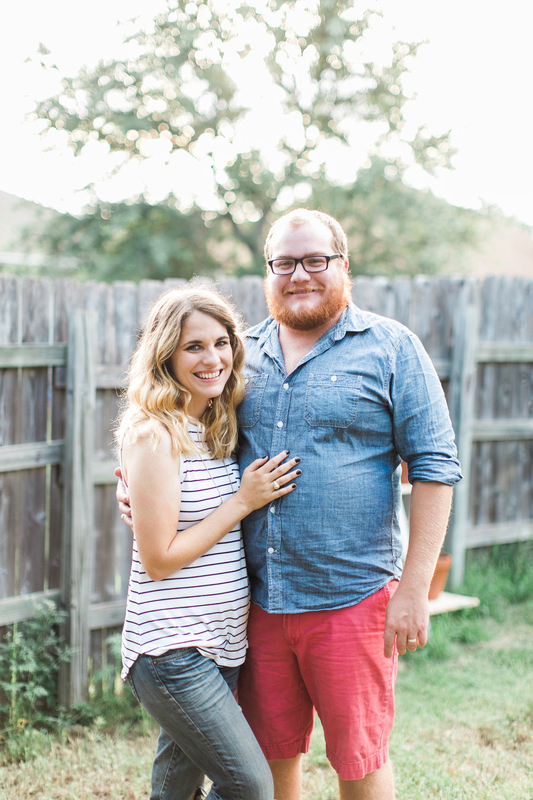 Thank you for including my farmhouse table! Thanks, Amber! Love your table! I want one of those strawberry arbors. What a lovely idea! Thank you so much for including my window herb planter in your great round up.